i-TTL Speedlight optimized for use with Nikon's Creative Lighting System (CLS). Use on-camera and as a wireless remote light source. 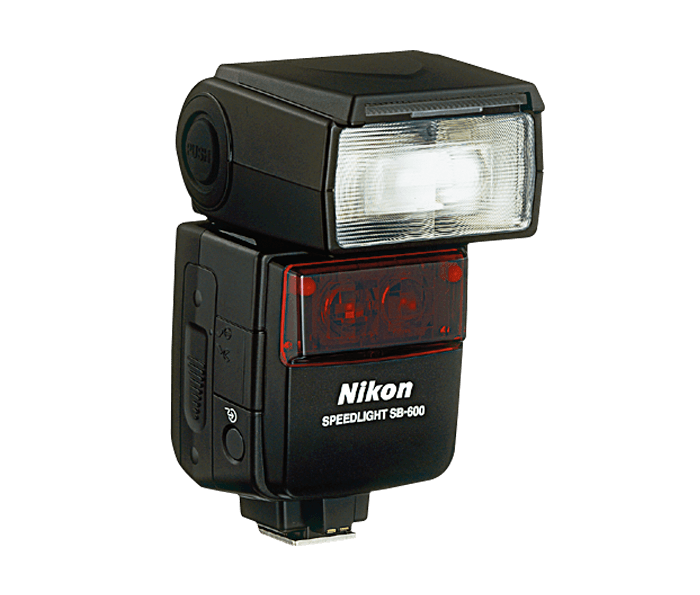 Delivers accurate flash exposures and seamless fill-flash capability under difficult, challenging lighting situations. Provides a wide zoom range covering 24 to 85mm expands to 14mm with built-in wide-flash adapter. Rotates 270° degrees and tilts 90° degrees to help reduce background shadows and allow for creative light control. Accurate autofocus in low-light situations is assured. Available with Nikon CLS compatible cameras with high-speed sync capability. Provides more accurate color renditions and white balance accuracy on CLS compatible D-SLRs. With easy to read menus and intuitive controls. Flash head tilts down to 60° with click stops at every 15° or up to 45° with click stops at every 15°. Press the power button for approx. 0.3 sec. to turn the SB-600 on or off.